Guess what? We are finally starting our home renovations and we are starting with our family room. We have decided to participate in this springs One room Challenge and I couldn't be more excited. I love everything about the One Room Challenge. For those of you who haven't heard of it, the wonderful Linda from the Calling It Home blog hosts it twice a year. The basic concept is a bunch of bloggers all commit to completely redecorating one room within a 6 week period. Each of us posting weekly. There are 20 main participants and hundreds of guests participants. I'm linking up as a guest and I'm super excited to be a part of it. We follow a pretty set Design Process when starting any renovation. This has helped us stay on track and trust that everything will look great in the end. I love starting every design with a well thought out mood board. I gather inspiration photos on Pinterest and Instagram whenever I see something I like. The trick is to then narrow all the inspiration pictures down to less than 10. This really helps focus the design. We use the mood board often throughout the design process to make sure we are being consistant with our designs "feel"
I want to bring my 1982 living room back into this century while sticking to it's Midcentury Modern architecture. I'm going to accomplish this with interesting furniture shapes that are still clean and simple. A neutral color palette and punches of black. 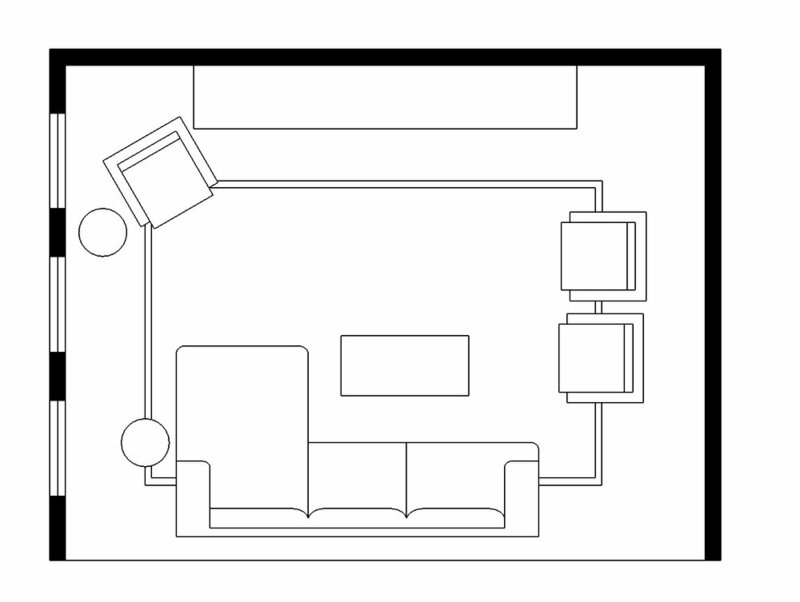 What is the intent of this space: This will be a family living area that we spend a lot of time in. The only tv in the house will be located here so the room needs to be Movie Night ready while still staying on point in the design. It's also the first room you see when entering our house so we want it to pack a punch. Needs: Absolutely has to have storage. Having a young son means there are toys everywhere. He is currently obsessed with my little ponies and race cars. We also need the space to be Tucker friendly, he's rambunctious and spends a lot of time running around the house doing laps. We don't mind, helps wear him out. It also means that we can't have easy to brake things in easy to break places. Want: Art, I want to have fun with it. I'm really excited to encorporate a large scale piece with smaller ones. I really want display shelves. I am obsessed with well styled shelves. Do Not Want: I don't want the space to feel stuffy or uninviting. I will always remember the room in my aunts house that no one could sit in. No thank you, I'd much rather we all enjoy this space as much as possible. Now that we know what we want in the space it's much easier to decide on layout. The only piece of furniture we have is our sectional so we need to make the seating work around it. We love our couch so much I even did up a little review here. We are adding a large TV built in to include lots of storage and also give me those display shelves I really want. We are keeping the seating limited to keep the space open for our excited 3 year old to run around. The sectional will face the built in for the perfect movie night experience! Flooring: We completed this project last spring. Our flooring went from dirty carpet to beautiful natural wood. Mouldings: All the warm orange wood moulding is coming down and being replaced with black window frames and simple baseboards. We were able to complete the window trim before spring and I can't wait to show you. Paint: Definitely going white, I want this space to use light and feel bright and welcoming, especially with all the dark details. I'm going to warm up the all white space with our neutral color palette and wood tones. TV Unit: Ikea Hack TV unit that will provide storage and a focal point to the room. Stay tuned to see the full DIY process. DIY Art: Going to partner with Anewall for my big art piece. Art can be very expensive, I'm going to do a DIY version to get the most bang for our buck. ORC is a big task to take on but I'm so into it and can't wait to get this room done and on Instagram! I feel so lucky to have such a fun collaboration to participate in. Thank you for following along with our renovation. Click HERE to see all of the amazing participants in the fall 2018.